Leighann Ness Wilson reflects on her role over the last six months, as The Cube’s first STEAM Education Officer. My name is Leighann Ness Wilson and I’ve had the privilege of being The Cube’s very first STEAM Education Officer. With a Bachelor of Built Environment from QUT and over ten years’ experience in commercial Interior Design, it wasn’t until having my own children that I decided it was time to pursue my underlying goal to become an educator. My role at The Cube has allowed me to combine two of my passions: design and education. The practicums within my Graduate Diploma of Teaching and Learning, combined with my new role at QUT, have given me a profound sense of fulfilment. I find the combination of education and creativity both emotionally and professionally inspiring. Training was first on the agenda for 2016 as we welcomed new and returning facilitators to our Public Programs Team at The Cube. (You can learn more about our methodology and team in the post, Hello 2016, Hello STEAM). Over multiple training sessions, our team were introduced to new technologies and toolsets and discussed how these might be used within the framework of STEAM education to deliver dynamic and interactive educational programs for our Education and Holiday workshops. A highlight has been the diversity within the Public Programs team itself. I am fortunate each week to work alongside fellow-students and graduates from various QUT degrees across Engineering, Interactive Design, Education and Creative Industries. We bring our unique knowledge and approach to the workshops, which benefit not only our students, but also each other as we develop our skills as facilitators. 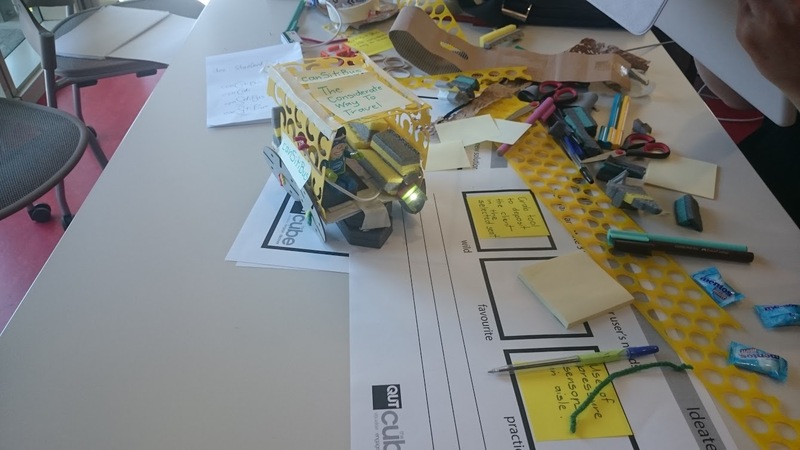 In addition to onsite staff training, our team spent time with senior software developer and creator of Makkit, Anna Gerber at The Edge, SLQ to learn the basics of Arduino. In April, Brian O’Connell, PhD Student and Research Assistant at the Center for Engineering Education and Outreach, Tufts University, Boston, taught our team the fundamentals of the Rube Goldberg challenge and introduced us to the wonderful world of capacitive sensors. A personal highlight occurs every Tuesday morning, when we welcome a new school group to The Cube. Once a week, during terms 2, 3 and & 4, The Cube hosts a day long STEAM Education workshop for students from grades 5 – 9. It’s great to see the students’ smiling faces as they make their way towards the Science and Engineering Centre to meet us. Students learn about The Cube as a digital interface, and enjoy hearing about the technology behind the screens, and how The Cube studio team research, develop, test and launch projects, whilst interacting with the projects. From a facilitator’s perspective, within our STEAM workshops, I have been amazed by the students’ ability to collaborate, learn new skills and stay focused. Throughout the term, we have met technically savvy students and seen some truly creative solutions for robotic emergency response vehicles, inspiring interactive artworks and compelling ideas on how to make Brisbane a more age-friendly city. The Cube regularly hosts professional development programs utilising design thinking and STEAM toolsets. 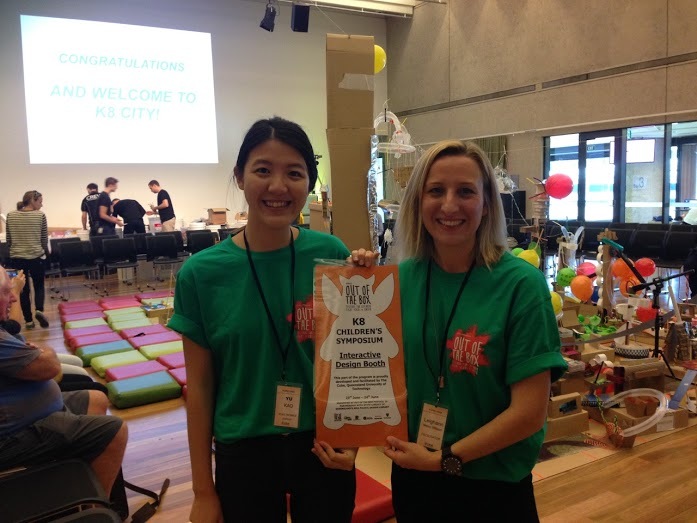 This term, we have welcomed teachers from all over the state as part of the Education Queensland Makerspace Trial and recently ran an interactive design booth as part of the K8 Symposium in conjunction with the State Library of Queensland’s Asia Pacific Design Library for the Out of the Box Festival. 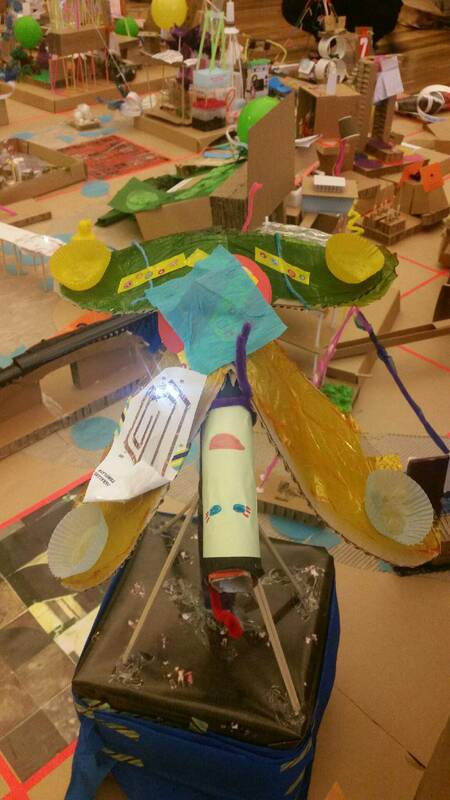 At K8, we introduced the basics of circuity to a remarkable group of 8 year olds, as they reimagined the city of Brisbane for the year 2036. As well as working with the students, I delivered a Professional Development session for primary school educators on using STEAM toolsets within the classroom. 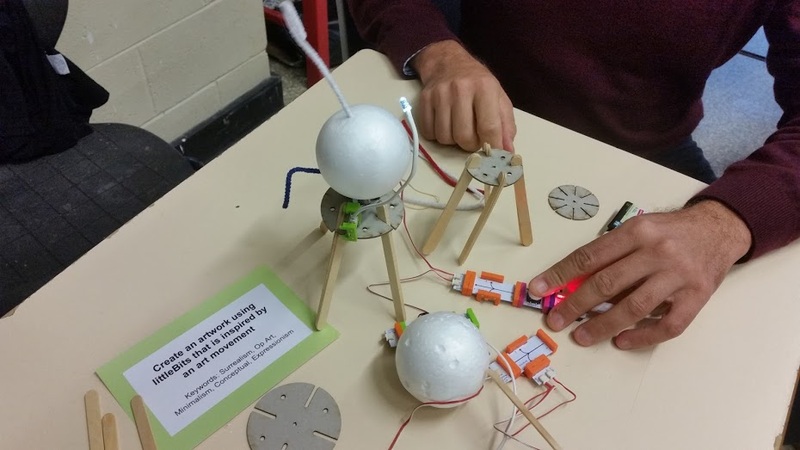 I’ve also had the recent opportunity of facilitating a hands-on workshop, for teachers at the Queensland Art Teachers Association conference, which focused on the possibilities of using littleBits in a visual arts classroom. Reflecting on the past six months, I have realised the broader implications of my learning journey. While I have always been passionate about creativity and education, I am proud to say I have gone above and beyond my comfort zone–from creating touch responsive circuits using a bread board to designing and coding my own wearable technology Halloween costume. Learning through STEAM education has showcased the absolute benefits of learning from and alongside the students. The levels of engagement in our workshops are testament to the vision and open source approach of The Cube’s Public Programs team. Together we share a passion and belief in the value of creativity in education. We work within a broader community full of like-minded professionals and regularly engage with experts to enhance our approach to ensure we are responding to the needs of 21st Century learners…and it’s also lots of fun!